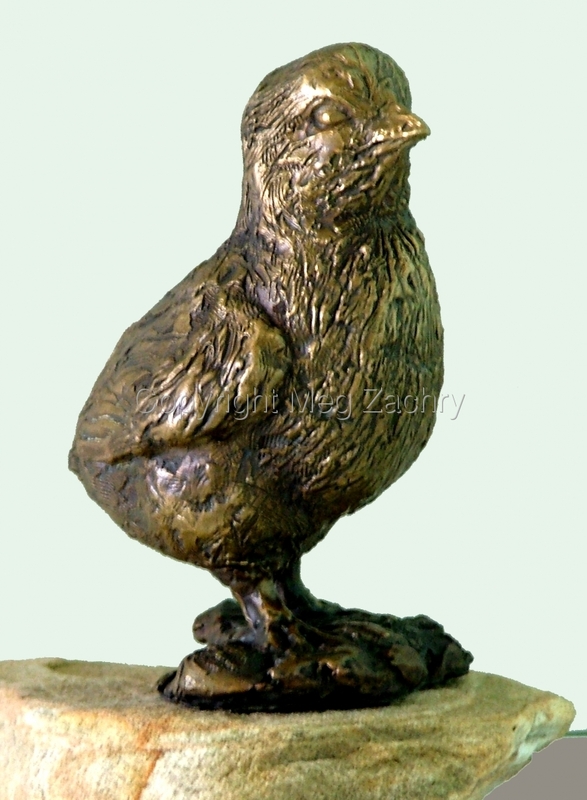 Unique bronze (there is no mold) of a baby chick. He looks at the world with fierce determination, like chickens always do. Sculpture is 6"x6"x4" on it's base.